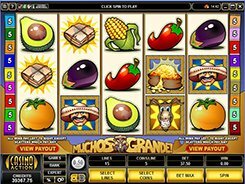 Muchos Grande is a Mexican-themed slot with 5 reels and 15 playable lines. 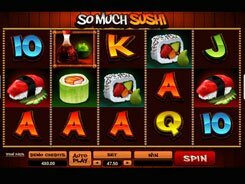 The game features a wild symbol, two scatters, a bonus game and a non-progressive jackpot of $22,500. On the reels, you will see fresh vegetables that are part of everyday eating in Mexico. Besides, the symbols incorporate rattlesnakes, a donkey, a Mexican amigo, and golden coins, all shown up in crisp and bright details. 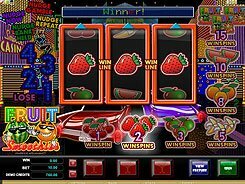 Before a spin, you can adjust a coin size ($0.01–$0.5), and the number of coins per line (1–5), thus the minimum and maximum bets are $0.15 and $37.5 with all lines activated. 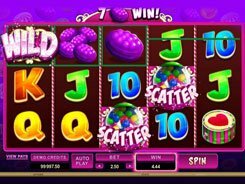 The slot has a simple, yet very colorful bonus feature triggered by a Treasure Map scatter. 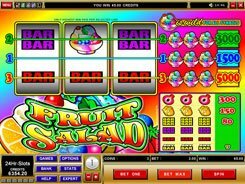 On the second screen, you have to choose locations on the treasure map and obtain instant cash rewards between x90 and x5000 times a line bet. There is another scatter symbol in the slot represented by the Rattlesnake. 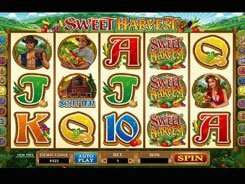 It does not activate any bonus features, but pays out up to x400 times a total bet when three or more land in any position. PLAY FOR REAL MONEY!